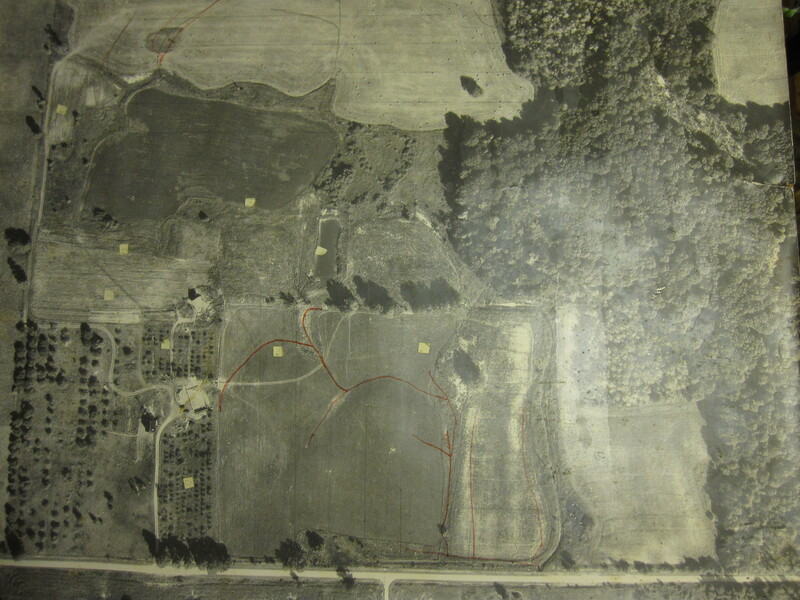 After discovering that google maps had a very poor resolution map of the plots south of Creekline and Zion I dug through some old files around here and found two areal photos of the farm from back in the seventies. My intention is to keep an edited version of this map up to date with where we are planting what, and where the hoop houses are and so on. 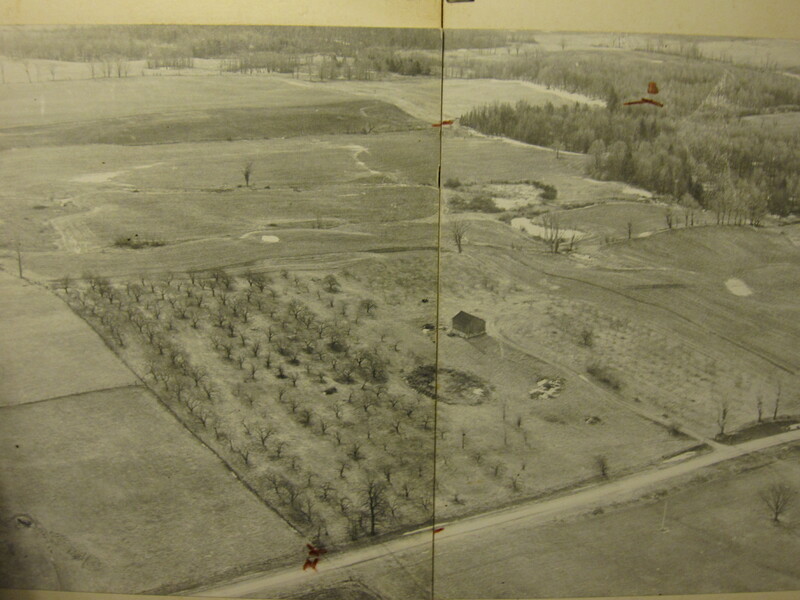 For now, you can see the remnants of the old orchard, which is the thick orchard on the left side of both photos, and you can see on the areal photo to the right that the house is still under construction.